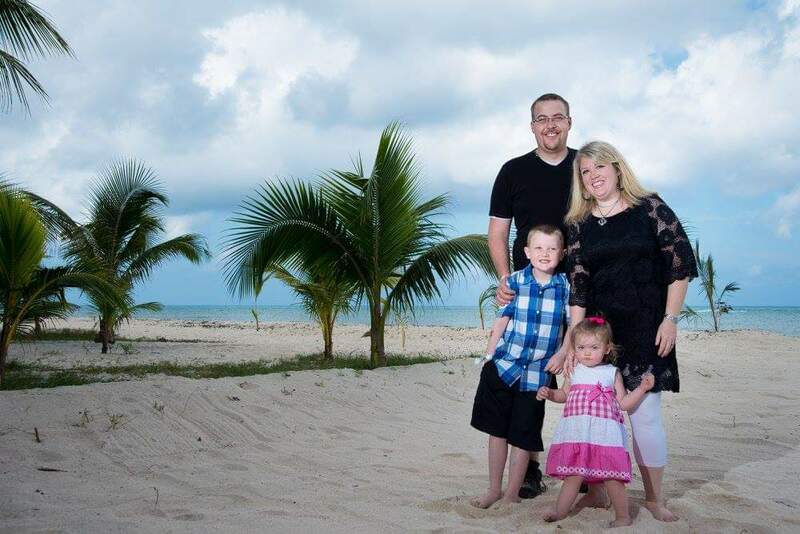 Meet Deborah Rice, mother of two and parent of a child with special needs and rare medical condition called PANS/PANDAS. Her children are Jayden, who is 10, and Aria, who is 4. As she has learned to navigate this diagnosis and all of its implications, she has become an advocate for other families affected by the disease. Before she became a mother, she was addicted to her work. She loved getting ahead in the business world in her role of managing high-end jewelry stores. Though she had always wanted to be a mother, she wasn’t sure whether she would be able to because she suffered from severe endometriosis that required multiple surgeries. After a couple years of trying unsuccessfully to get pregnant, they had a surprise pregnancy and were blessed with the birth of Jayden. Because Deborah was so invested in her work, the transition to motherhood was difficult at first. For the first two years, she flew back and forth between Las Vegas and Boston for work every other month. When Jayden was almost two years old, Deborah became a Christian. At that point, her priorities in parenting shifted as God began to reign in her heart. She sensed the Lord showing her that her demanding work schedule was not in alignment with how he wanted her to fulfill her role as a wife and mother. Six months after becoming a Christian, she quit her job in order to stay at home with her son. Later, she went back to school, but Jayden’s diagnosis does not allow the time to work a traditional job outside the home. 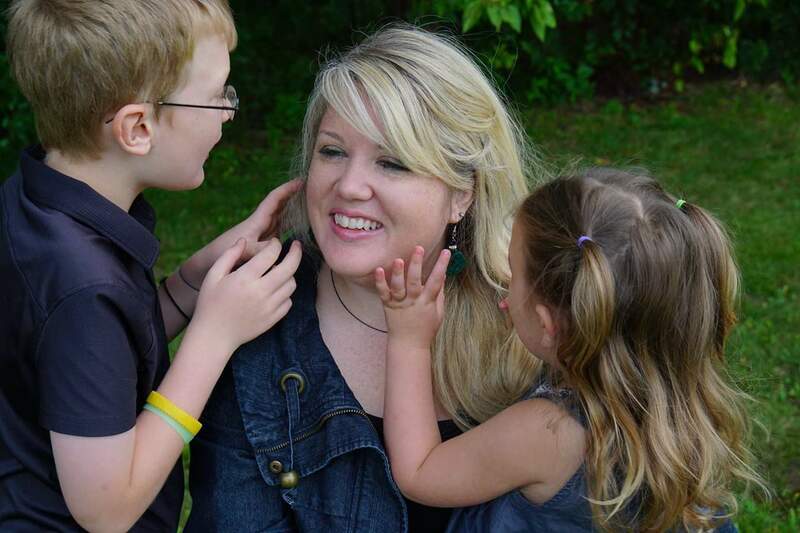 For now, her work includes ministry, writing, and advocating for families affected by PANS/PANDAS. She enjoys coaching women who are stepping into their calling and is also piloting a program for high school seniors at her church. Jayden was developmentally delayed as a baby but caught up in most areas. He was diagnosed with high functioning autism and a reading disability. Deborah’s second pregnancy was difficult but led to a special bond with her daughter, Aria. Through the complicated pregnancy, Deborah learned to trust in the Lord. She describes Aria as being full of life and smiles, incredibly smart, and a light in showing Deborah how to be the parent Christ has called her to be. Through Aria, the Lord has taught Deborah about strength, perseverance, love, and patience. Just under two years ago, Jayden began to display an onset of concerning psychiatric behaviors that eventually led to a diagnosis of PANS/PANDAS. PANDAS stands for Pediatric Autoimmune Neuropsychiatric Disorders Associated with Streptococcal Infections. Deborah describes it as an autoimmune response in which the body has an abnormal reaction to the strep infection. This causes inflammation in the brain, which can lead to various degrees of symptoms including but not limited to sudden changes in behavior, OCD, anxiety, tics, personality changes, and intrusive thoughts. In practical terms, she says it felt like she had suddenly lost her child as she knew him due to the extreme and sudden changes. PANS stands for Pediatric Acute-Onset Neuropsychiatric Syndrome, which is very similar to PANDAS but is not associated with strep; instead, it is linked with other infections and viruses. Since Jayden’s diagnosis, Deborah has learned a lot about the disease and has become an advocate for families affected by it. While PANS/PANDAS can present in a completely psychiatric way, Deborah has learned that sometimes there are medical reasons for the onset of troubling behaviors. She and her husband have seen the difference antibiotics and other non-psychotropic medications can make. Because of these experiences, Deborah has a strong desire to educate and help others. She has a dear friend who lost a child to the disease. In advocating for these children, she is fighting for her friend, her own family, and every other family that has suffered as their child seems to “go missing within their own brain.” Though we tend to view many behavioral issues and mental illnesses as being separate from the medical world, Deborah is learning that they can be closely linked. She believes that many children end up in psychiatric facilities due to a lack of awareness about PANS/PANDAS. If children display sudden and alarming changes in behavior, she recommends checking for medical reasons first and considering whether the child has been consistently sick. Jayden had had strep eight times within an 18-month time frame, and his behavior improved noticeably when he took antibiotics. Deborah has learned that gut health and the ability to metabolize food properly are also factors. She recommends asking doctors lots of questions and trying to get at the “why” behind medical issues. Her advocacy involves sharing her story, praying, and raising awareness. Her family has joined in medical hearings at the capitol, and Jayden’s case has even been used to help fight for better insurance coverage for this diagnosis. In addition to the medical and physiological aspects, Deborah believes that there is a spiritual component to these experiences, as well. She is confident that the Lord has a mighty purpose for Jayden, which makes him vulnerable to spiritual attack. Despite, and even in the midst of, the adversity he has faced, he is on a mission to share the love of God with everyone around him. He preached at church when he was just 8 years old. Also, Jayden raised $2000 within just a few weeks by speaking at different organizations. 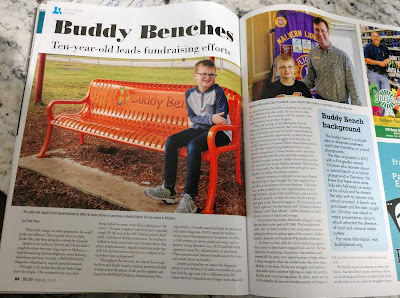 The money was used for his school to put in a “buddy bench” for kids who need a friend at recess. He was in a facility while in the middle of working on this project but did not let that stop him from meeting his goal. Since then, he has begun work on new kindness projects. While he was in a facility, he prayed over all the kids—many of whom had experienced abuse and trauma. He read scriptures over them and told them about Jesus. 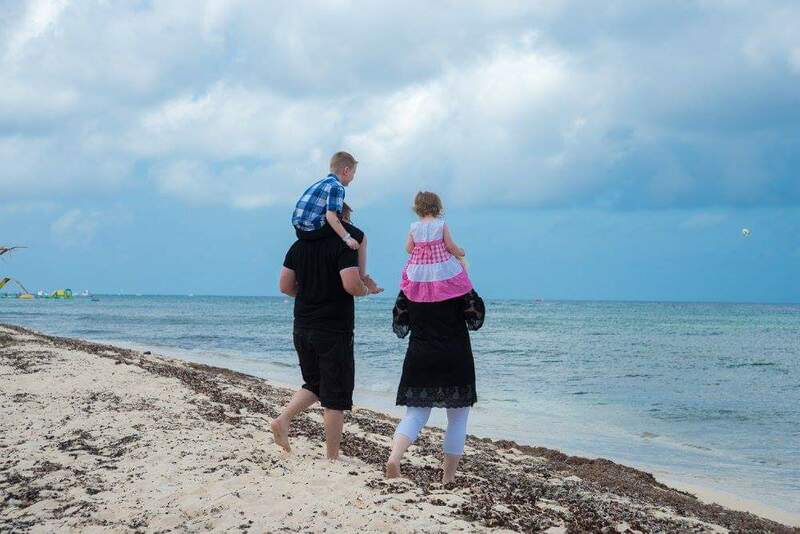 To address the spiritual aspect, Deborah and her husband have been learning about spiritual warfare and joined a trusted pastor in fervent prayer for Jayden’s healing. 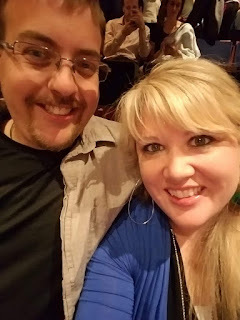 One night, Deborah and her husband were praying together, asking desperately for the Lord to help. Though there was not a cloud in the sky, they saw a bright flash of light at the foot of the bed, where there was no window. They believe the light to have been an angel. Within two weeks of this incident and after seven months of searching, they finally found a medical professional who was willing to take on Jayden’s case. Jayden was only the second case this physician’s assistant had seen, and even before any bloodwork was done, she was confident of the PANS/PANDAS diagnosis. Deborah knows that this was the Lord’s answer to prayer because the very next day, Jayden was institutionalized, and if he hadn’t had the diagnosis from the day before, he might not have been able to get the antibiotics he needed while in the facility. Though the Rice family has been on a long and difficult road, they have experienced firsthand the grace and goodness of God provision. They hope that sharing their story will be an encouragement to others who are struggling. You can follow Jayden’s Journey on Facebook here. For more information about PANDAS, click here. On this site, you can search for doctors by state.